I’m in a three-piece band, and we’d like to make it a four-piece. We have guitar, bass and drums, but we desperately need a singer to make us whole and get us through the long winter. 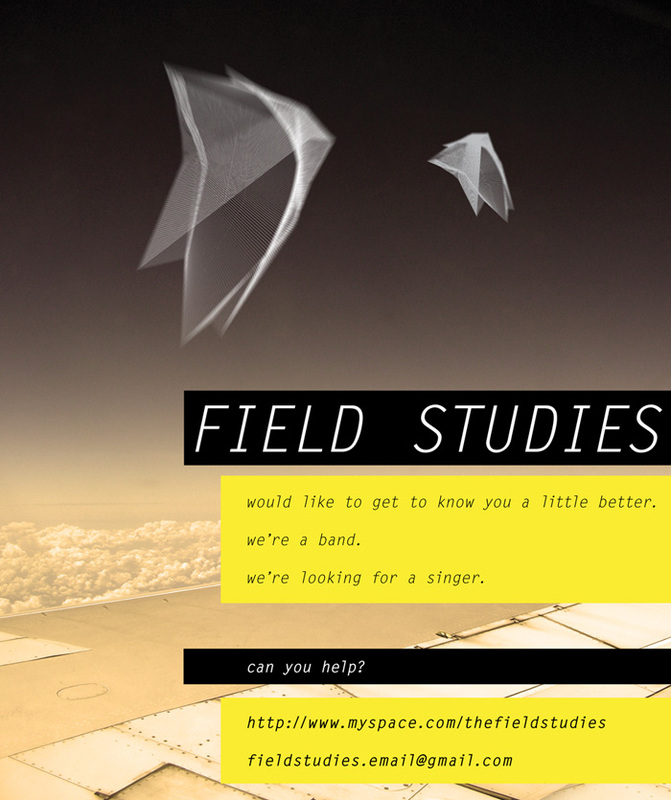 If there’s anyone from Adelaide reading this who’s interested, check out the Field Studies MySpace here, and contact us on the email address on the poster below. I’d love to describe the sound of the band, but it’s pretty difficult for someone who’s involved! Have a listen to the sample tracks on the MySpace (we haven’t recorded the bass lines yet) to get an idea of what we’re going for.